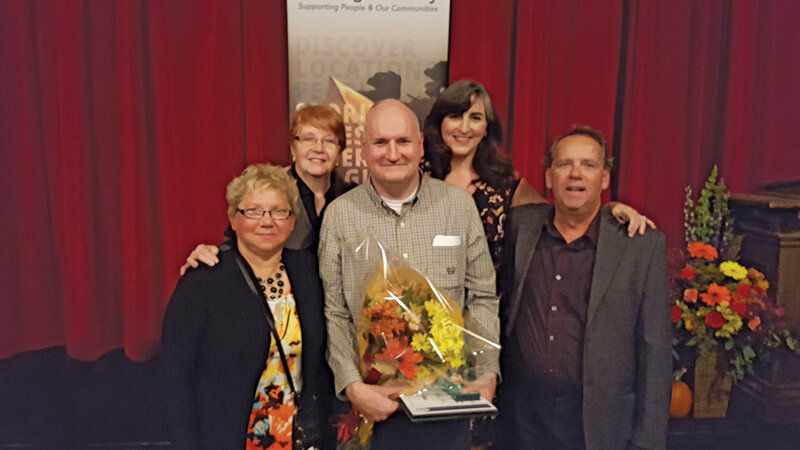 As publisher of Country Roads, receiving the 2017 MVP Tourism Award at the Hastings County Awards Celebration held recently at the Village Playhouse in Bancroft was a tremendous and humbling honour. In truth, the award is a reflection of the great amount of work everybody puts into Country Roads. We have an extremely dedicated staff that is committed not just to the magazine but also to presenting the best Hastings County has to offer. 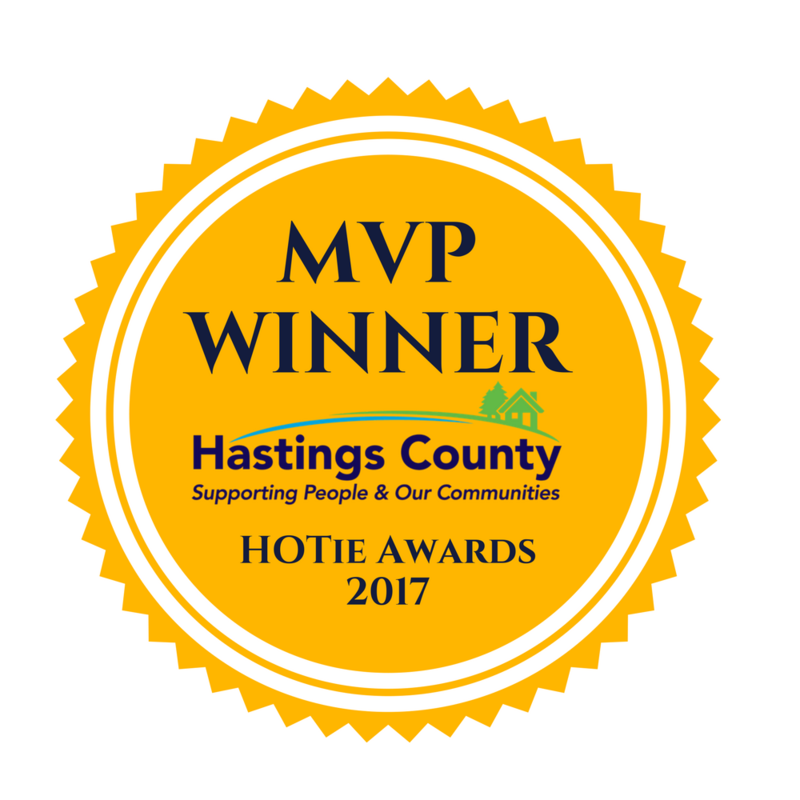 The annual Hastings County Tourism Awards were presented on Oct. 23 by the County of Hastings. The event recognized the tourism businesses, organizations and individuals who made significant achievements from September, 2016 to August, 2017. Congratulations to fellow award winners – Tweed & Company Theatre, Champion of the Year; and the Municipality of Tweed, Event of the Year for its Farm to Table community dinner. As I was to discover, Dr. Scott was an exceptional individual — a true visionary who was the principal reason why Lavalée was ahead of its time. Little wonder that the attractions and facilities found on the extensive Scott property that straddled Faraday and Wollaston Townships surpassed the competition. 2017 marks the 150th Anniversary of Canada. Country Roads magazine will celebrate with editorial that shines a spotlight on Hastings County and its importance to this great country. Watch for special articles and celebrations throughout our 2017 issues. if you enjoy Shelley Wildgen's column 'Just Saying,' you're in for a treat because Loyalist College Alternative Radio is airing audio versions of 'Just Saying.' Tune in at Loyalist College Alternative Radio 91x to hear Shelley reading selections from her column. Or listen here! Congratulations Paula S! Thanks for taking our survey! We want to express a great big thank you to Paula and everyone else who took time out of their day to complete our online survey. Your feedback is so valuable to us, and helps us provide all the Hastings County content you love. If you haven't done the survey yet, don't worry, you can still complete it here. Do a quick survey! Win a prize! Help us stay awesome! Hey there – you know all about us and how we love, love, love Hastings County; now it's time to share some of your interests with us. Please take just 2 minutes out of your day to do this easy 10-question survey (and maybe even forward it to a friend...) Your confidential and anonymous answers are invaluable in keeping Country Roads successful. The Bancroft Apsley and Tweed studio tours provide a truly unique experience for art lovers. Not only do they get to explore this majestic region of eastern Ontario during its most aesthetically vibrant season and immerse themselves in art, they also get to connect with the creators in their own studios. Often, upon arrival, visitors enter the very landscapes that have inspired the art they admire. Don't miss out - sign up for the Country Roads Newsletter today! Do you love the featured articles in Country Roads? Are you interested in what's happening around Hastings County? Then hurry, hurry, hurry, and sign up for our newsletter! Delivered straight to your inbox, our newsletter contains top stories from our magazine and posts from our blog, as well as updates about Hastings County news and events, special offers, and more. Residents of downtown Belleville awoke to an unusual sight on the morning of Labour Day, 1936. If they lived on Yeomans, Moira, Everett or Catharine Streets, they found snow fencing and haybales in front of their homes, lining the roadways. If there was any confusion as to the purpose of these barriers, it would be erased soon enough by the cacophony of 35 motorcycle engines leaving the startline as the inaugural Canadian 200-Mile Motorcycle Roadrace got underway. Perhaps “off the beaten path” truly sums up the ghost town of Lost Channel better than any other phrase. This somewhat hidden landmark, though easily accessible to the east of Highway #37, along the Lost Channel Road south of Tweed, can indeed be considered the entranceway to a scenic region uniquely its own — a fascinating area that resonates with reminders of the past that many other parts of Ontario would be hard pressed to match.